Connecting your Omega to Losant with a Single Command! 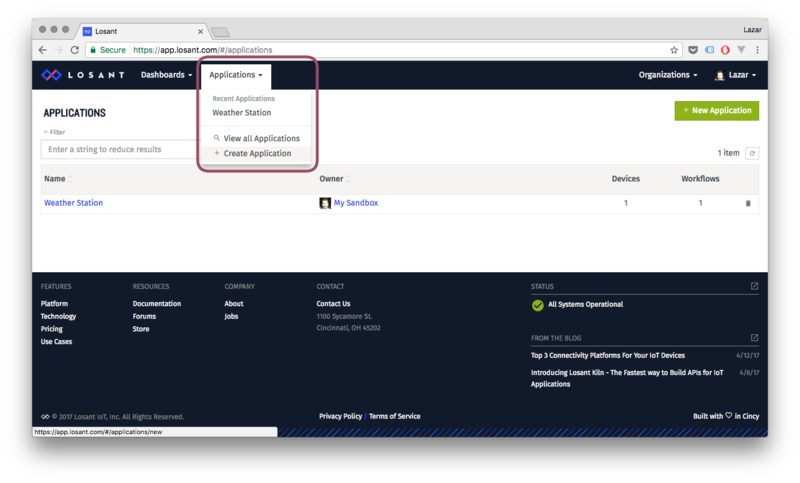 We’re huge fans of Losant’s IoT Cloud Platform, it’s incredibly powerful, flexible, and super customizable. 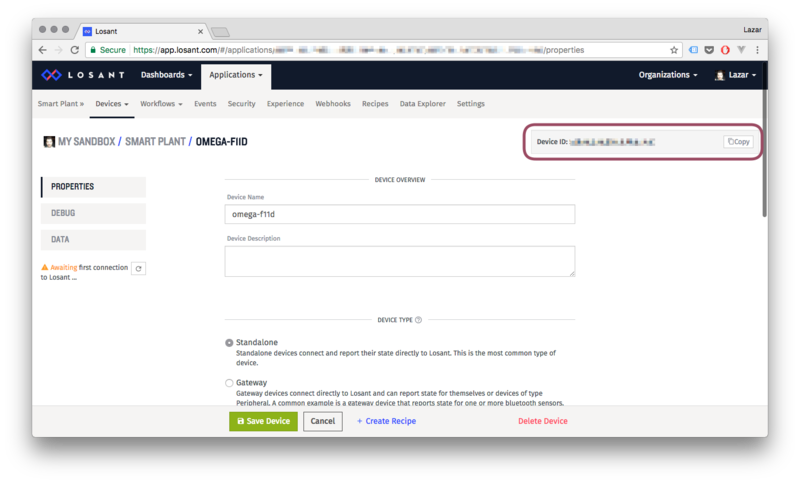 It’s a great fit for making your Omega projects cloud-connected! In the past, it’s taken quite a few steps to setup your Omega to connect to the Losant platform. To help you do less setting up and more inventing, we’ve made a single command that installs all of the necessary packages and performs all of the configuration required to get your Omega hooked up with Losant. 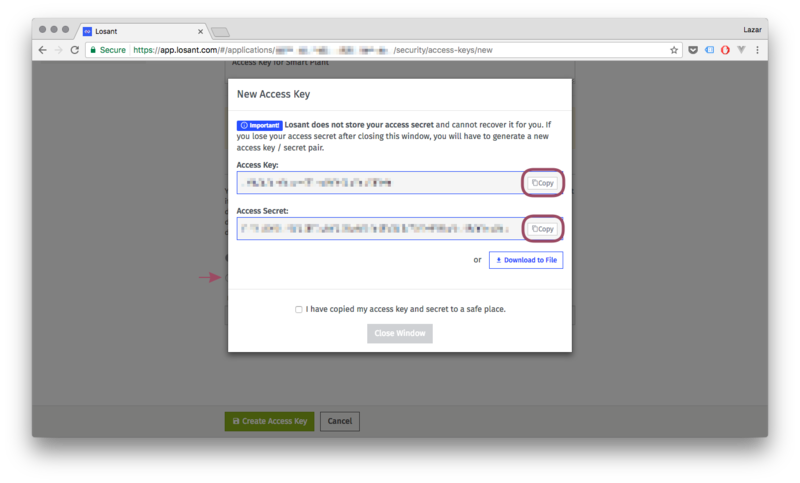 All you need is to create a device and an access key on Losant and our script will do the rest! At the end of it, you’ll have an MQTT bridge to Losant configured and ready to use! Make sure to record both the key and secret somewhere since this is the only time you will get to see the secret! Your Omega can now connect to Losant! This will subscribe to the MQTT topic Losant uses to send commands to your device. All commands will be printed directly to the terminal. Congratulations! Your Omega is ready to communicate with the Losant Cloud Platform. You can send state updates up to the Cloud or receive commands based on workflows. This can be done on your Omega by piping to mosquitto_pub and piping from mosquitto_sub, or using a higher-level programming language and an MQTT module, like Python and Paho-MQTT. Stay tuned for more Losant and MQTT goodness! In the meantime, you can check out the multi-part Smart Plant in our Project Book that uses Python and the Losant Cloud Platform to create a truly intelligent plant that Tweets and waters itself!